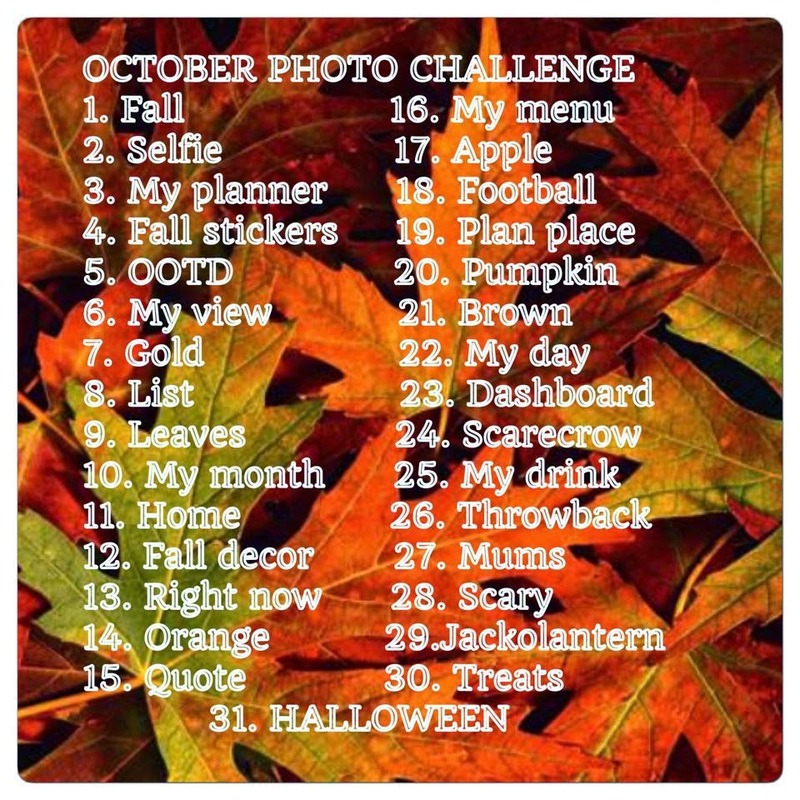 Day 1: Fall- My Autumn Notebook, a pot of flowers, and pumpkin. The pumpkin is from The Maize that my family and I went together. Day 2: Selfie- I'm wearing the handmade and painted porcelain necklace my husband got me last year at the Bob Evan's Farm Festival. Day 4: Fall Stickers- I have some older stickers nothing new yet this year. Day 5: Outfit of the Day- My outfit is thrift store finds and my earrings were a gift. Day 6: My View- Our granddaughter Arilesie helping me bag crackers for grampy's chili lunch for work. Day 7: Gold- You're Still The One!